Love is in the air at Sedona Cake Couture. 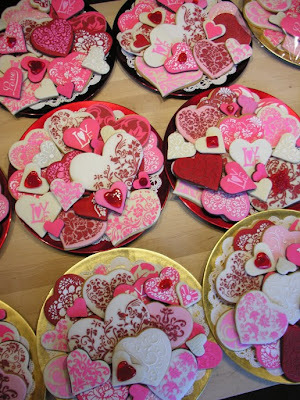 We've been busy all week making cookies and cakes! 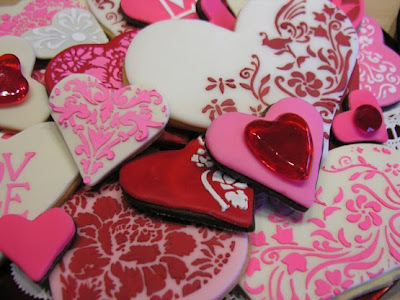 We are loving these cookies..... each one is uniquely individual ..... some are studded with sugar gemstones. 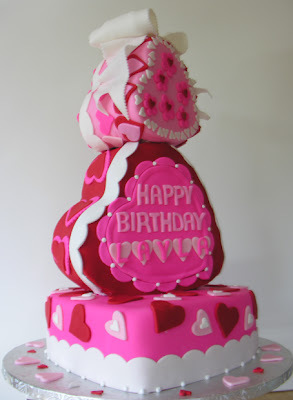 And a Valentine Birthday cake extraordinaire!